For the sixth time in the program’s history, the Butler men’s basketball team is heading to the NJCAA National Tournament, which will be held March 16-21 at the Sports Arena in Hutchinson, Kan.
Butler is currently 29-3 overall and finished with a program-best 14 conference wins while winning the Jayhawk West title. The Grizzlies, who received one of four at-large bids to the NJCAA National Tournament and is seeded No. 14, open tourney play on Tuesday at 10 a.m. against No. 19 Georgia Highlands (27-6), the District XIII and Region 17 Champion. The Butler-Georgia Highlands winner will advance to face No. 3 College of Southern Idaho (31-2) on Wednesday at 6 p.m. The 2015 NJCAA National Tournament bracket can be found here. Ranked seventh in the NJCAA men’s final regular-season poll, Butler had its second-best start and second-longest winning streak in school history, going 22-0 to open the 2014-15 season. In the program’s history, Butler has won one national championship, two runner-up finishes and a third-place finish at the Tournament. The Grizzlies, then known as El Dorado Junior College, won the 1953 National Championship by defeating Arkansas City (Kan.) 82-64 in the final. 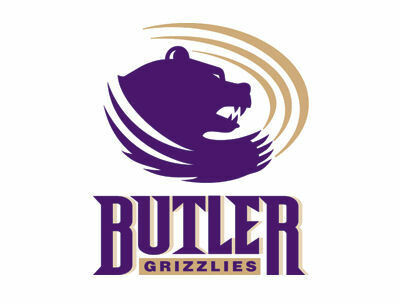 Butler made its return to national prominence in the 1990s under Randy Smithson, finishing runner-up at the NJCAA Tournament in 1992 and 1993 and a third-place finish in 1996. In 2010 under current head coach Mike Bargen, the Grizzlies made its first Tournament appearance since 1996. Bargen, 165-92 overall in his eighth season at Butler, recently was named the Jayhawk West Coach of the Year – his second time winning the award. The Grizzlies had four players – Kyle Steward, Chris Howell, Jacolby Harris and Lamar Wofford – named to the KJCCC All-Jayhawk West Conference team. Steward earned first-team honors, while Howell, Harris and Wofford earned honorable mention honors.